With so many spacious options available at the Park Hotel, simply choose the room that suits you best and you're all set for an amazing family short break in North Devon. There is an endless choice of activities for everyone to enjoy. It's easy to get to the gorgeous beaches at Woolacombe, Saunton Sands and Croyde and to Exmoor National Park. Then there's the exciting range of family attractions such as The Big Sheep, Combe Martin Wildlife and Dinosaur Park, and The Milky Way Adventure Park. Barnstaple itself has a superb ten pin bowling alley and skating rink, a cinema and the much-loved Air Extreme, an indoor trampoline park. Need even more things to do? Then why not try horse riding, fishing, surfing, mountain biking on Exmoor or cycling along the famous Tarka Trail? And don’t forget that we are right by Rock Park, which has a brilliant playground for youngsters! As our guests, you can also sample the amazing leisure facilities at our sister hotel, The Barnstaple, including indoor and outdoor pools. All in all, this is the most family fun that you can pack into one holiday! As a special bonus; KIDS ENJOY FREE ICE CREAM, SOFT DRINKS & ICE POLES. 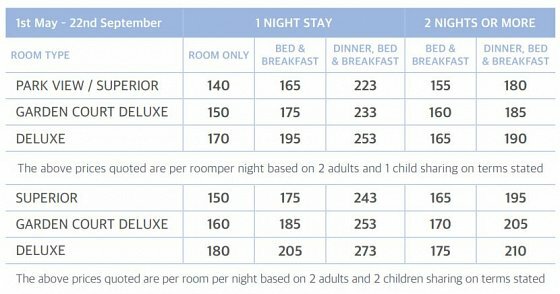 Keep reading for more wonderful reasons to enjoy a family break with us. When staying with us we want you to get the most out of your stay and enjoy what North Devon has to offer. Discover more about all of these attractions. 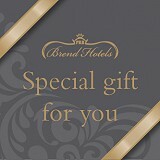 Also as our guest, you are welcome to sample some exclusive benefits available at our sister hotels within Barnstaple. Free use of their leisure facilities. Indoor and outdoor heated swimming pools, a chill out sanctuary with hot stone beds, sauna and fitness suite with over 50 pieces of equipment. 10% off the Heanton Bar lunch. Only a 15 minute stroll from Barnstaple town centre, the bar is a great place to relax with traditional favourites and contemporary cuisine. 10% off Seasons Bar lunch. With views of Rock Park and French Doors opening onto the Sun Terrace, our sleek bar is a wonderful place to do lunch. 10% off Afternoon Cream Tea, served in the elegant Terrace Lounge. An experience to be savoured. (Monday to Thursday). 10% off total bill. The lively bistro offers an exciting choice of classic cuisine inspired by flavours around the world. (Monday to Thursday). 20% off cocktails. This is the place to enjoy skilfully mixed cocktails, fine wines and craft local produce, as well as social grazing crates. (Monday to Thursday). 10% off Carvery Lunches. Choose from a selection of cooked to perfection, locally sourced meats and an array of freshly prepared vegetables at this charmingly historic hotel heading up the high street. (Monday to Friday). We'd love for you to come and stay with us this Christmas. We guarantee the warmest of welcomes, and we work hard to ensure that every one of our guests has a fabulously festive time with outstanding service, sensational cuisine, luxurious rooms and a fantastic festive programme including great entertainment - perfect for all the family! We’re also just a short walk to the lively centre of Barnstaple, where the Christmas celebrations seem to last for the whole of December! We have all the ingredients for a wonderfully relaxing and entertaining Christmas break, so why not come and join us? For more information phone 01271 372166 to request a brochure. Visit our Christmas page for a break down of what we have to offer.